The inaugural AGM of the London RCE (Regional Centre of Expertise) on ESD (Education for Sustainable Development) took place at London Legacy Development Corporation (LLDC) in Stratford on 20 March 2013. The meeting, chaired by Lynn Vickery (Co-ordinator, London RCE and London South Bank University LSBU), started with a welcome to the LLDC by Paul Brickell (Executive Director of Regeneration and Community Partnerships, LLDC). Ros Wade (Chair London RCE and LSBU) presented The Annual Report 2012/13. It highlighted the activities of the constituent groups, namely Higher Education ESD Curriculum Group, RCE Sustainable Business Group, RCE Site-based Educators’ Group, RCE Teacher Education Group, RCE ‘Communities’ Group, RCE ESD Reading Group, and Political Science and ESD Group. Following an outline on the London RCE European dimension by Dr Hugh Atkinson (LSBU), a number of partners/ stakeholders talked about their activities and projects on ESD: David Clemson (LSBU), Graham Petersen (University and College Union UCU, http://www.ucu.org.uk/), Karen Wheeler (Lee Valley Education Department, Environment and Heritage, http://www.leevalleypark.org.uk/), Anna Portch (London Environmental Education Forum LEEF, http://www.leef.org.uk/), Zaria Greenhill (Sustainable Schools Consulting, http://zariagreenhill.co.uk/), Kareem Dayes (Rural Urban Synthesis Society RUSS, http://www.theruss.org/), Falko Schmidt (DESERTEC, http://www.desertec.org/), Tobias Baumer, Jonathan Ofusu and Anglea Giraldo (students from LSBU Business School), Margaret Burr (Humanities Education Centre HEC Global Learning Centre, http://www.globalfootprints.org/), Poppy Flint (Forest Recycling Project, http://www.frponline.org.uk/ and student of LSBU Education for Sustainability programme) and Asitha Jayawardena (Sustainable University One-stop Shop Experiment, http://www.sustainableuni.kk5.org/). After the AGM, the participants attended the UEL (University of East London) seminar The Sustainable City: Challenges and Opportunities in East London. Embedding Sustainability in the Curriculum: Practising what we teach, an interdisciplinary workshop focused on enhancing Education for Sustainable Development (ESD) in business and management, hospitality, leisure, marketing and tourism, was held at London South Bank University on 12 March 2013. This HEA (The Higher Education Academy) workshop explored ways to embed the United Nations’ Principles for Responsible Management Education (UN PRME) within the higher education curriculum and evaluated approaches to learning and teaching that fall in line with the People’s Sustainability Treaty on Higher Education. The workshop also included the launch of the new HEA book on Enhancing Education for Sustainable Development in Business and Management, Hospitality, Leisure, Marketing, Tourism. The 2013 Mayor’s Low Carbon Prize is now open for applications from London university students and recent graduates and the winners will receive a £20k development fund to bring their idea to market. The Prize, in partnership with Siemens, is part of a wider endeavour to slash carbon dioxide emissions in London by 60% by 2025. Shortlisted applicants will also be considered for a paid internship opportunity at Siemens. The deadline is midday 17 May 2013. Philosophy for Children, a two-day training course (Level 1) suitable for teachers and teaching assistants of all key stages, governors and senior management, will be held at the Institute of Education on 9 and 17 March 2013. A powerful methodology for developing children’s thinking skills and exploring challenging subject matter, Philosophy for Children (P4C) is particularly relevant in Education for Global Citizenship, helping pupils to widen their area of concern while deepening their understanding of complex issues. Local democracy, civic engagement and community: From New Labour to the Big Society, the latest book by Dr Hugh Atkinson (Senior Lecturer in Politics and Public Policy, Department of Social Sciences, London South Bank University) will be launched at the University Staff Lounge at 5 pm on 25 April 2013. 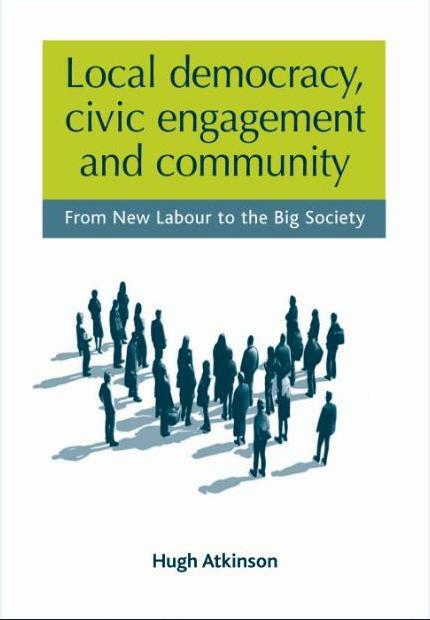 Focusing on local democratic politics in Britain over the last decade and a half from the New Labour government to the current coalition government, the book argues that local democracy is a vibrant terrain of innovation, civic engagement and participation and dynamic community activity. 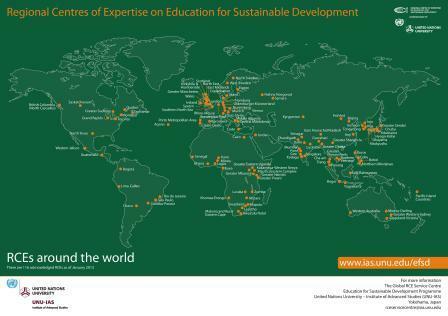 Dr Atkinson is a member of the steering group of the London Regional Centre of Expertise (RCE) on Education for Sustainable Development (ESD). 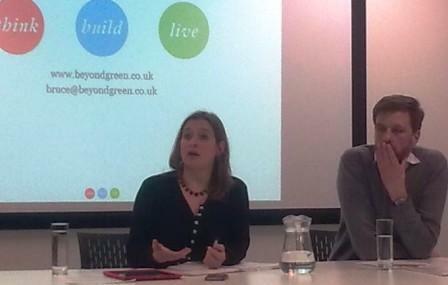 A seminar, The Sustainable City: Challenges and Opportunities in East London, was held at London Legacy Development Corporation (LLDC), Stratford on 20 March 2013. Chaired by Professor Allan Brimicombe (Head of the Centre for Geo-Information Studies CGIS at the University of East London UEL), the event included two guest speakers: Bruce McVean (an Integrated Design Manager and a consultant for Beyond Green) and Samantha Heath (Chief Executive of the London Sustainability Exchange). A Question Time followed the speeches. This is the third in a UEL Seminar Series, Beyond 2012: the Olympics and the Regeneration of East London, which explores the transformation of East London beyond 2012 with the aim of creating a knowledge platform to inform long term social, economic and cultural development of the area.